This is so darn good. You will want to put it on your chicken, your omelette, your sandwich etc. 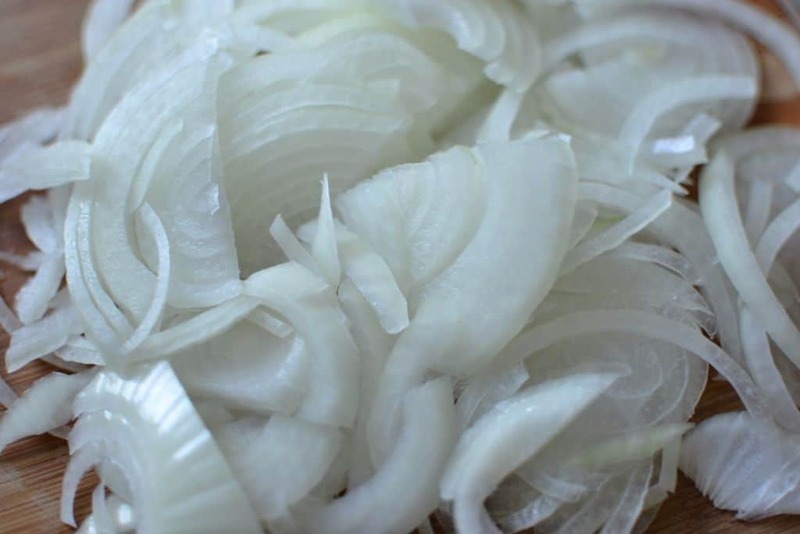 Use a sweet onion preferably a vidalia but all onions are good especially baked in a bath of mayo, sour cream and cheese! 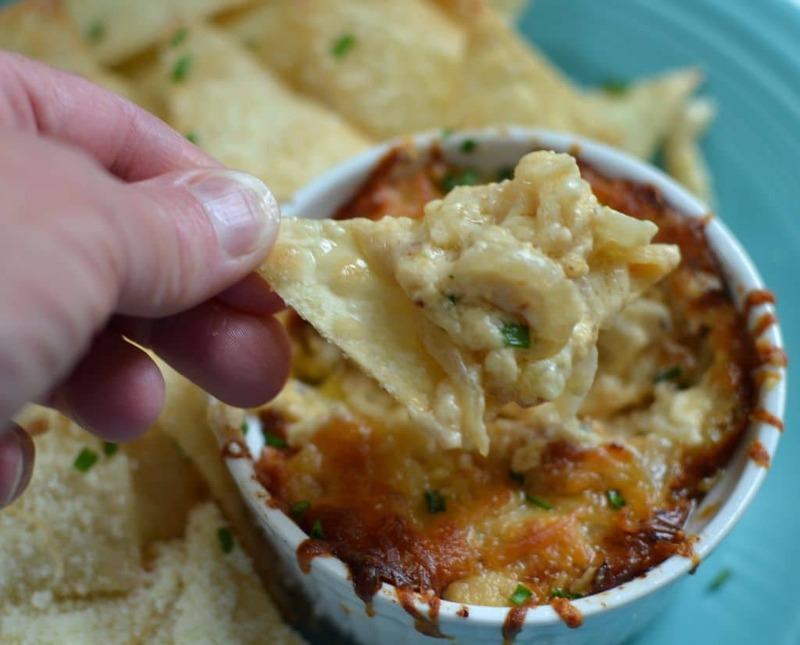 You can prep this dip and cut the wontons in about ten minutes while reviewing spelling words with your nine year old! 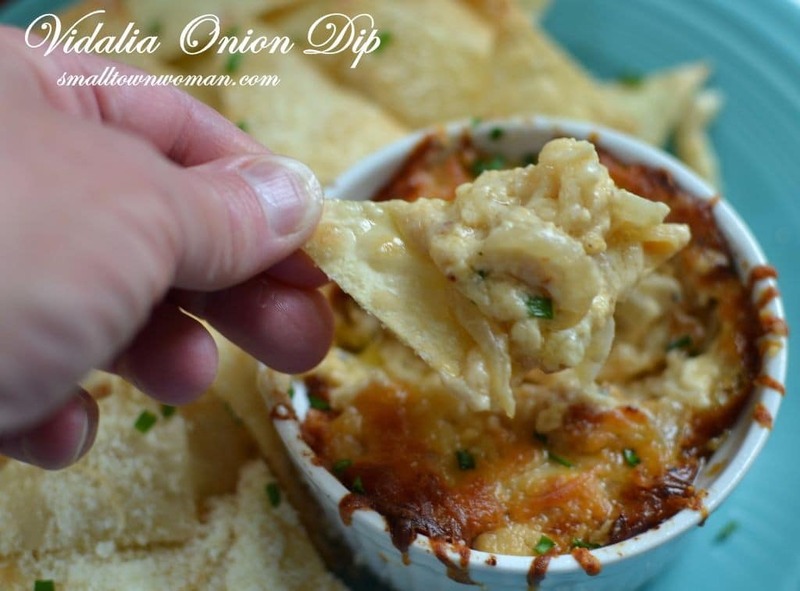 If you like onions this dip is a must. It will be a great hit at your next party. Love it! I could not get my husband to stop eating it! Cut wontons on a diagonal and then cut those triangles again to make smaller triangles. Spray cookie sheet with nonstick cooking spray and immediately place the wonton triangles on the cookie sheet. Spray the tops of the wontons with nonstick cooking spray. Bake for 6-7 minutes or lightly browned and crispy. 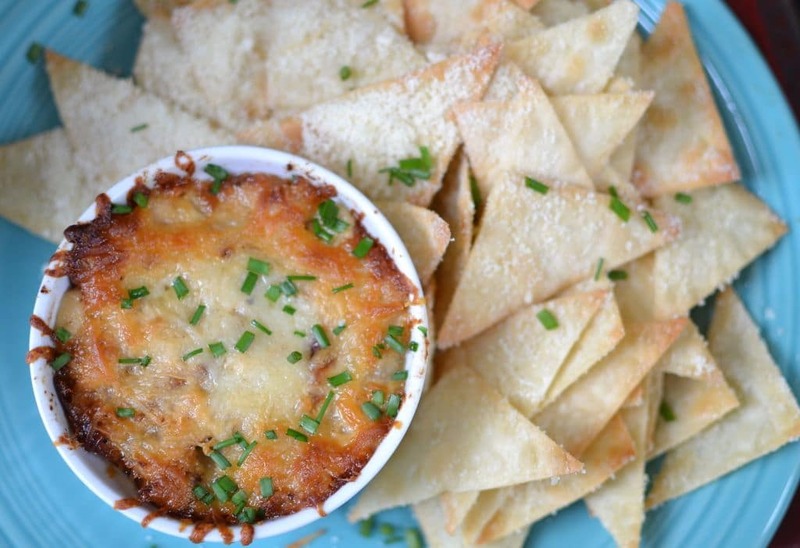 Remove from cookie sheets, place in large bowl and toss lightly with a sprinkle of Parmesan. Combine onion, mayo, sour cream, white cheddar, smoked Gouda,remaining Parmesan, 1/2 cup mozzarella, mirin, Dijon mustard, pepper and whiskey. 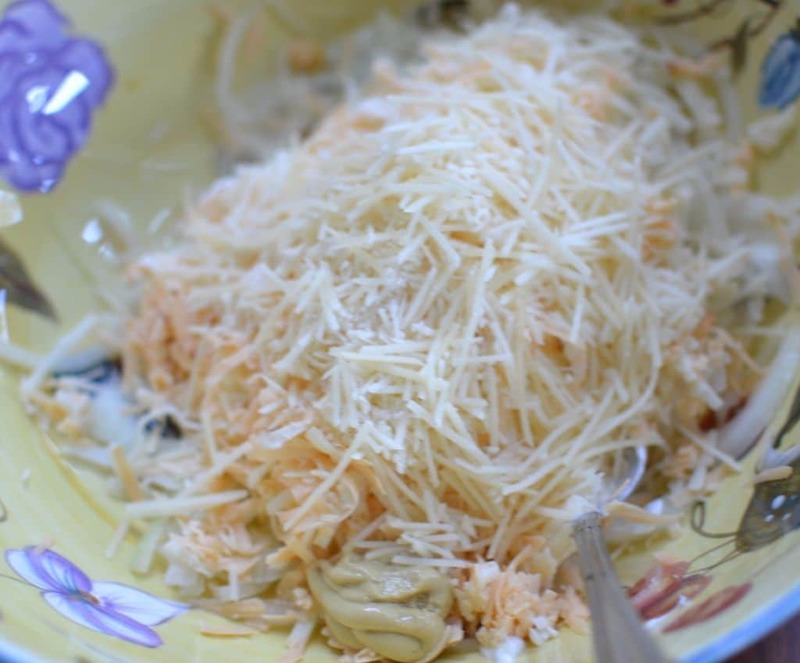 Spoon into casserole dish and sprinkle with remaining mozzarella. Bake for 25 minutes or until hot & light browned on the top. Top with chopped chives and serve with wonton chips. Mirin is available in the oriental section of your grocery store. I split the dip into small ramekins so I can stagger them out of the oven and keep them warm.